We are happy to announce the founding members of the ASPB Ambassador governing committee, the Ambassador Alliance. Stephanie Klein, Chair. Stephanie is a fifth-year Ph.D. candidate at Penn State University. She has served as an ASPB Ambassador and the Grad Student Rep to the ASPB Membership Committee since 2015 and is also a member of the Environmental and Ecological Plant Physiology section Advisory Board. Sunil Kumar Kenchanmane Raju, Vice-chair. 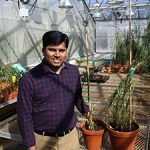 Sunil is a Research Associate (Postdoc) in the Department of Plant Biology at Michigan State University. He is an active member of ASPB and a student ambassador since 2015. He enjoys science outreach activities and has been part of ‘Fascination of Plants Day’ activities at University of Nebraska and Michigan State University. Katy McIntyre, Secretary. 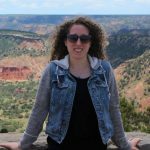 Katy is a third-year Ph.D. student and NSF Fellow in the Cell and Molecular Biology program at Colorado State University. 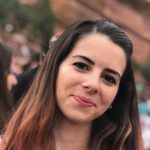 She has been an ASPB Ambassador for three years where she has been involved in everything from outreach in the local community to hosting webinars to interview candidates for ASPB’s Board of Directors. Rishi R. Masalia, Representative to the Membership Committee. Rishi is the Director of Bioinformatics at LeafWorks, Inc. 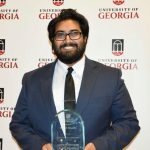 He received his Ph.D. in 2018 from the University of Georgia, and has been an ASPB ambassador since 2015, emphasizing science communication and community engagement. Additionally, Rishi has served on the ASPB Membership committee, Plantae steering committee, and ASPB annual conference planning committees. These members are looking forward to working with the rest of the Ambassadors in rolling-out the revised Ambassador program, and will be involved in recruiting and on-boarding new Ambassadors. Please connect with them regarding any questions about the Ambassador program.